We currently have two rides every Sunday: fast & intermediate. The fast ride travels at least 18-20mph and the intermediate ride at 16-17mph, (rough averages) with distances averaging around 40 miles. In the summer months we do a few 100 mile rides. All rides are notified by social media beforehand and routes either published or confirmed on the morning. Should you wish to join straight into the fast or intermediate groups you will be expected to cope, otherwise it would be best to join the monthly social ride as a try-out. These social rides are paced according to the standards of the group on the day, everyone will get home together, so they are ideal for prospective members or less fit riders. Rides meet in the carpark off Lavender Park Road by the public Library and leave at 08.30 sharp, unless stated. 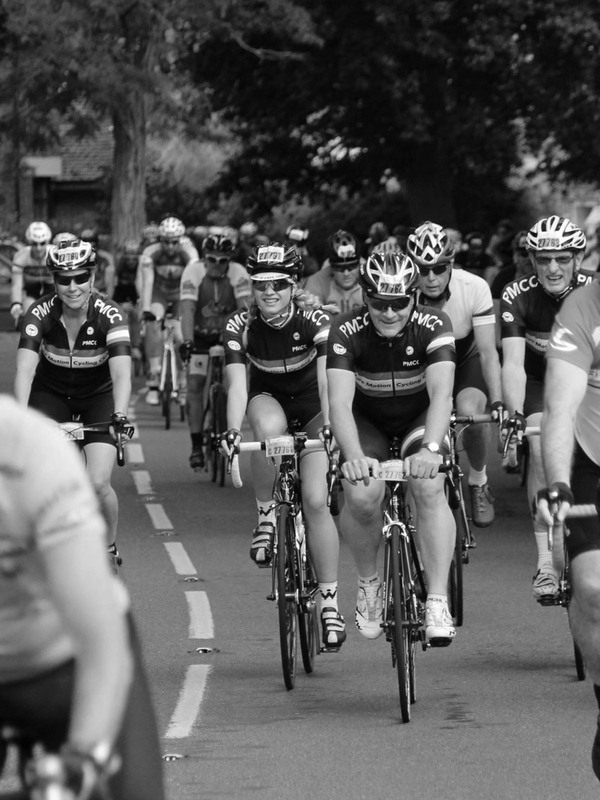 Rides vary a great deal, coast rides of 100 miles, tough hilly routes in the North Downs, long into Hampshire, or flat out towards Windsor and Henley. Special rides out to Oxford, round the M25 or the Isle of Wight are also on the annual menu. A Saturday chain-gang leaves Weybridge, details communicated on social media – this is a very-fast training ride that is not suitable for beginners. Ad hoc training rides, focussed around more specific training requirements, operate on a Saturday and generally leave from Woking Six Crossroads roundabout. Although we don’t make the wearing of helmets compulsory, we strongly recommend it and urge you to think of your own safety at all times. Bikes equipped with tri-bars are not permitted on club rides. The club does not provide insurance cover against any potential third party liability. You are be best advised to obtain suitable insurance cover, either through British cycling membership or privately.